"We are not considering a successor or a price cut at this time"
Nintendo just dashed our dreams of seeing a svelte next-generation, 4K-touting Switch 2 hitting shelves worldwide anytime soon. Despite a steady stream of rumours about the Kyoto-based company toiling away on a second-generation console with a higher resolution touchscreen display. But while a mid-generation refresh at some point during its lifecycle seems inevitable, Nintendo President Shuntaro Furukawa this week insisted that things will stay exactly as they are for now. Furukawa made the comments during an interview with Japanese site The Sankei News. In response to a question about Nintendo's plans to sell 20 million units this financial year, the Nintendo President told Sankei News: "It is an extremely ambitious, but worthwhile achievement. So, we will maintain this goal. "Nintendo Switch is our primary sales objective, and we are not considering a successor or a price cut at this time." So, not only does Nintendo plan to hit its ambitious sales target, but it hopes to do so without any material change to its two-year-old hardware. While there is undoubtedly an argument for leaving well enough alone, it seems ridiculous to think that Nintendo is not looking into the possibility of a second-generation console to reinvigorate sales at some point in the future. The current Nintendo Switch only has a 720p LCD display, the refreshed model will purportedly boast a 1080p OLED panel. 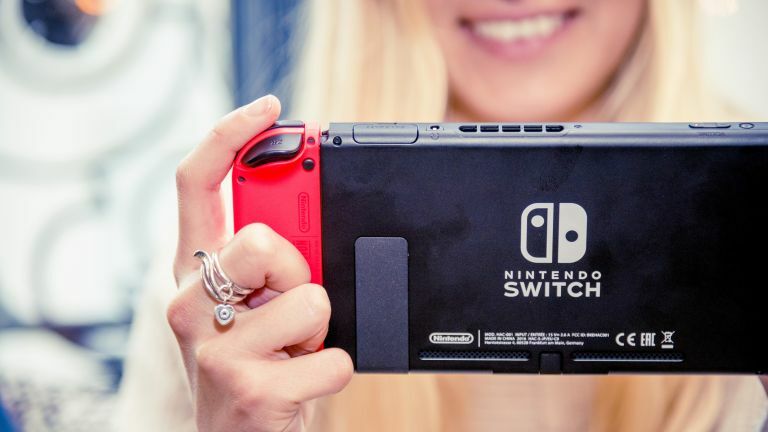 The Switch is already capable of outputting content at 1080p – as it does whenever it is connected to a HD television using the dock, so Nintendo wouldn't even need to update the internals to drive the upgraded display on the Switch 2. OLED panels offer a number of improvements over LCD, including deeper blacks and more vibrant colours. They can also be more battery efficient, especially when using a dark mode. Clearly, these improvements would ratchet up the price of the Nintendo Switch, which currently retails for around £279.99. However, pundits have pointed out that there is undoubtedly an opportunity to sell upgraded hardware with a better display for improved handheld gaming to those willing to pay for the privilege. However, moving away entirely from the current price tag could deter swathes of potential customers. Like the PS4 and PS4 Pro before it, it has been suggested that Nintendo could offer two separate models that cater to both of these audiences – a so-called Switch Lite, and a Switch Pro.